The new iPhone 6 and iPhone 6 Plus have larger batteries than their predecessors, meaning that you can get more phone life out of every full charge. But there’s a downside to that bigger battery too – it takes longer than ever to get your phone up to 100%. Longer, that is, unless you know this one weird tip: Your iPhone 6 will charge faster if you use your iPad’s power adapter instead of the default one that comes with your phone. See, the default power adapter that comes with the iPhone 6 and iPhone 6 Plus provides a 1 amp (5 W) power supply. But your phone will charge faster if you connect it to a 2.1 amp (12 W) supply instead, like the type that comes with the new Apple iPad Air. There’s no risk of damage to your phone – the new iPhone’s battery is designed to safely accept the higher amp supply, unlike previous iPhone models. Here’s the catch, though – charging your phone with a 2.1 amp supply will generate more heat than charging with the 1 amp charger and cable. That could reduce your battery’s life (albeit slightly). So you may want to stick with the default 1 amp charger for when speed isn’t a factor, like when you’re charging your iPhone 6 overnight. Don’t have a 2.1 amp iPad power supply? You can buy an official Apple 12 watt USB Power Adapter on Amazon for just $19.99 that will work perfectly with the cable that came with your phone. Or, if fast charging is especially important to you, you may want to check out the $99 uNu Ultrapak battery. It can pull enough charge from an outlet to charge your phone in just 15 minutes, and features the 2.1 amp USB output you’ll need for fast charging of your brand new iPhone 6 on the go. Battery life is absolutely a factor in how much life you get, obviously offset by how much current the phone draws when in operation. A bigger battery will provide more life, assuming the draw-down is the same. But I think you’re actually agreeing with what we are saying regarding charge time. The iPhone 6 is capable of charging at 2.1A. 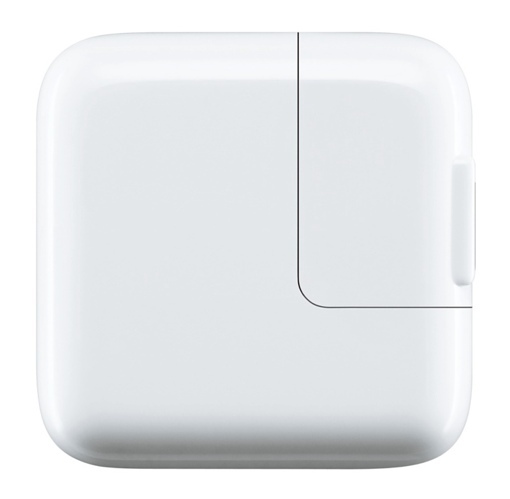 However, it ships with a 1A charging block. So it is capable of charging faster the the equipment Apple supplies with the phone would allow. To get the faster charging, you can use the 2.1A charging block that comes with the iPad or high-power USB ports on your laptop/PC. if you want to charge your phone faster, charge in airplane mode, I’ve done it and it’s def super fast…. no complications.